Prof. Ignaas VERPOEST was a full professor at the Katholieke Universiteit Leuven (Belgium) and guiding a group of 8 postdoc researchers and 25 PhD-students. He is the author of more than 210 journal papers, about 500 conference papers and 3 books, and holds 15 patents. Since September 2013, Ignaas Verpoest is emeritus professor at KU Leuven. Prof. Verpoest is holder of the Toray Chair in Composite Materials at KU Leuven. He was President of the European Society for Composite Materials (ESCM), and of the International Committee on Composite Materials. 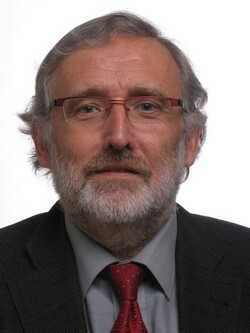 Prof. Ignaas Verpoest won several awards, amongst others the Descartes Prize for Science Communication of the European Commission (2004), the International Fellowship of the Society for the Advancement of Materials Processing and Engineering (SAMPE, 2009) and of the International Committee on Composite Materials (ICCM, 2009). In 2014, he was awarded the ‘Medal of Excellence in Composite Materials’ of the University of Delaware. He is also co-founder and board member of the company Econcore, worldwide producer of innovative honeycomb cores. His research activities span the field of auxetics (foams and honeycombs), shape memory alloy honeycombs, smart multifunctional cellular solids, viscoelasticity and structural-acoustic coupling. Dr Scarpa is Principal Investigator in EPSRC, European Framework 6, Transfer Technology partnerhips and DTI projects, working also in International Collaboration projects with US Army ARO and Georgia Institute of Technology. Dr Scarpa is a member of the Royal Aeronautical Society and features in the Editorial team of the Aircraft Engineering and Aerospace Technology Journal. 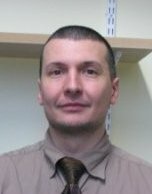 Dr Antoine Le Duigou obtained in 2010 a PhD in Natural fibre composites aging and interfacial characterization at the South Brittany University and Ifremer (France). In 2011 he became associate professor in South Brittany University where he is still supervising students on Eco-materials for Eco-buildings. He is the author or co-author of more than 35 journal papers and held around 50 conferences. He is member of AMAC and participates to the scientific committee of the French Society of Adhesion (SFA).